While the majority of people with Parkinson’s have a specialist nurse, many struggle to access them between appointments, according to a national survey. While the majority of people with Parkinson’s disease have a specialist nurse, many struggle to access them between appointments, according to a national survey. The 2015 UK Parkinson’s Audit, which reports on the care of more than 8,800 people with the progressive neurological condition, found that 94% had access to a Parkinson’s nurse. But only 75% could contact them between appointments, meaning long gaps without support. The audit also found that only 50% of patients reported getting their medication on time in hospital. Of the more than 430 services involved with the audit, only 13% offer a fully integrated service. Jacqueline Young, nursing lead for the UK Parkinson’s Audit said it was encouraging that so many patients had access to a Parkinson’s nurse. Ms Young said the audit was a ‘call to action’ to ensure that the almost 130,000 people with the condition in the UK receive the best care. Annette Hand, a Parkinson’s nurse at Northumbria Healthcare NHS Foundation Trust, said that services are being stretched as patient numbers go up, but investment reduces. Ms Hand is currently leading research into the experience of people with Parkinson’s in care homes and says that staff knowledge on the condition can be low. 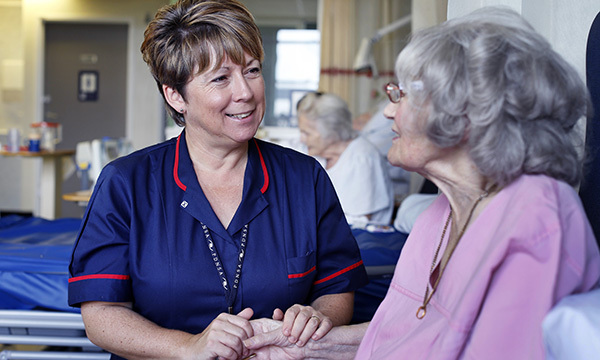 With specialist nurses often covering up to 40 care homes spread over a large geographical area, with two or three patients in each, it can be difficult to provide services to all. ‘I would like to see standards for homes if they are going to say they are specialists in Parkinson’s,’ she says.